We have a new ALL-TIME HIGH SCORE! 240 points on November 1st at Cardinal Rule! Two days after the West Virginia Losers Club notched a new all-time high score at Hitch, and one day in November... the Cunning Stunts leveled the new high water mark for High Scores in Trivia Club! It's the highest score of the Ico Era, five points higher then the Electric Mayhem's 235 points of our Expansion Era, one year, eight months, and fourteen days after the Mayhem had set the mark. The only point total higher, is the 240.5 point night for the Grafton Celebrity All-Stars, during our wildly unpredictable Chip Era. Those Cunning Stunts naturally have the highest score of the Month, and the year so far, but also the High Score at Cardinal Rule for November 2017. 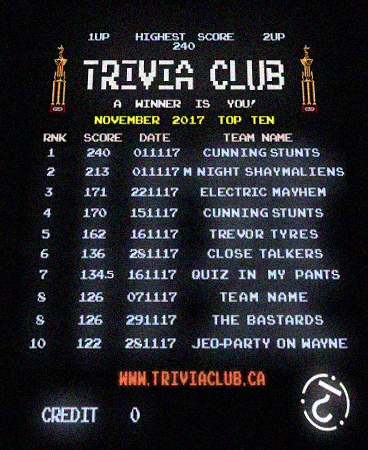 This is also the second consecutive month that the Cunning Stunts have scored more then 200 points, and the Cunning Stunts are also the only team to appear twice on the November Top Ten on their sixth consecutive appearance on the Monthly Scoreboards. The M. Night Shaym-Aliens also scored big, notching the seventh highest score of all-time at Trivia Club, and reaching past 200 for the first time as a team. Their 213 points, in perfect Shaym-Aliens Luck however is the highest score for November 2017 to not win the Golden VHS. The highest score outside of Cardinal Rule this past month, is also the highest score and FIRST Golden VHS winners at our newest location Farside! Trevor Tyres scored 162 points at our premiere event in Chinatown East, on November 16th. 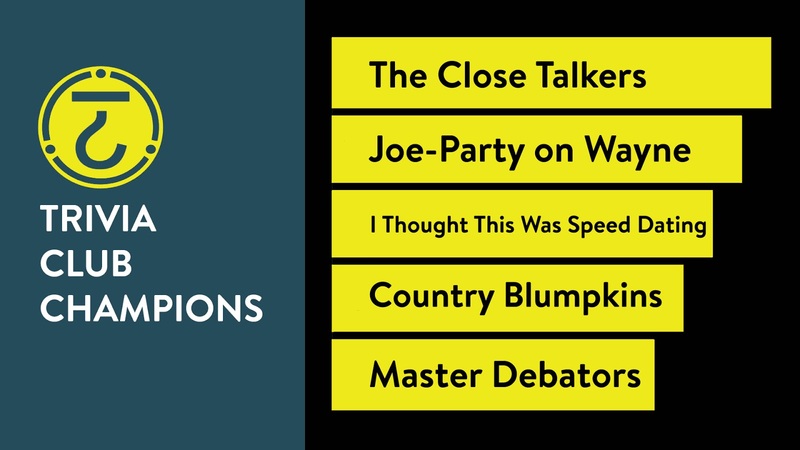 The Close Talkers had the highest score at The Rec Room for the month of November, with 136 points on November 28th. Multiple Scorgasms had the highest score at Hitch for November, excellent for a first-time team, with 99.5 points on November 20th. This was the 13th highest score of the month. Yes, after the six highest scores of October 2017, a team that participated at our Home Away was not represented on the Top Ten. Cardinal Rule teams make up five of the spots for November, in our second-last month at Our Original Home. The Rec Room has three participants on the Top Ten, while Farside sees two teams on the Top Ten from their premiere night. The Electric Mayhem and The Bastards, third and eighth on the Top Ten respectively, had two repeating members who each made multiple appearances on this month's list. Not a hug surprise for the two charter teams of the 2014/2015 Grand Champion Electric Bastards. The eleventh highest score of the month belongs to The Wet Bandits, runners-up on November 7th at The Rec Room, with 116 points. The Mean Team for November, the high score closest to the scoreboard average, are Trevor Tyres! O n our fourth last night at Our Original Home, the preantepenultimate edition of Trivia Club at Cardinal Rule! We saw the return of a team better known for another lost legacy location, we saw the continued support of a number of excellent teams, and also new teams were still mixing it up and competing with the field! Trivia Classic brought out quite the field of competition, with Last Place Team leading the way after the first round. Making their forty-fourth consecutive appearance, Last Place Team had a two point lead on the Cunning Stunts, the winningest team at Cardinal Rule! Just two and a half point back from the Stunts were The Bastards, two parts the Electric Mayhem from the week before and now with 100% Lou Dawgs winningest team, come to pay their respect and go for the gold in the last weeks of Cardinal Rule! Three points back from The Bastards were Trivial Knowledge, always competitive underdogs! In fifth place were Keith from IT, making their eighth appearance at Trivia Club! Omigawd!, newcomers to Trivia Club but good friends of Cardinal Rule, and fellow newcomers the Girl Guides rounded out the field! Game Show Games continued to twist the standings, with The Bastards grabbing the TOP TEN in our first game Countdown Takedown! Last Place Team grabbed eight points and kept the lead on their end, with Cunning Stunts and Omigawd! each nabbing six points, and Keith from Information Technology getting two points. Survey Says then brought even more points with Omigawd! grabbing the TOP TEN on a second question, while Keith from IT grabbed the TOP TEN in the first question! Also grabbing points were eight points for The Bastards to give them the lead, six points for Trivial Knowledge, four points for Last Place Team, and two points for the Cunning Stunts! A tricky Combo Breakdown, courtesy of Justin McElroy, saw Omigawd! outlasting Keith from IT for THIRTEEN POINTS! This only proved to tighten the field and bring things down to the third round! Tri-Pardo saw the three questions worth a combined forty points! The first question was rolled for eight points by Omigawd!, the second question was rolled for fourteen points by The Bastards, and the third question was rolled for eighteen points by the Cunning Stunts! With all that on the line, Keith from IT hit that triple, gaining forty points and thus gaining the lead! Getting both the first and third questions correct, though losing points on the second question for twelve points... were the Cunning Stunts, The Bastards, and Last Place Team! With Keith from IT in first place heading into the Finale, The Bastards had a point and a half lead on Last Place Team for second place. Cunning Stunts themselves were three points back from LPT, in fourth. Wagering, and answering, would prove golden. 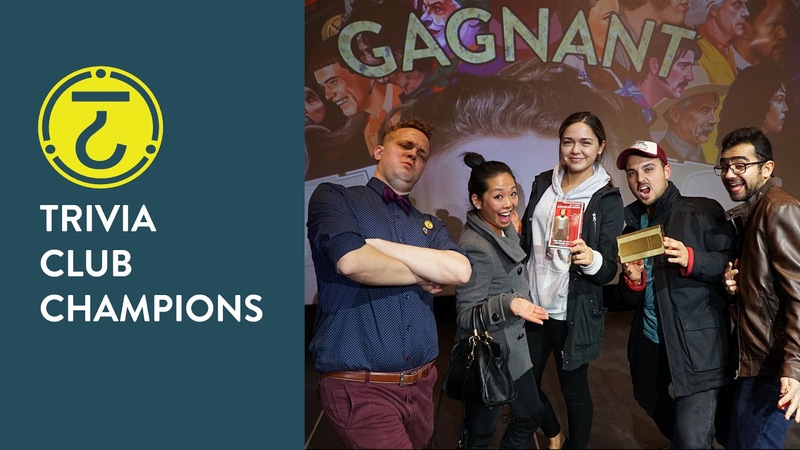 With their SECOND GOLDEN VHS at Cardinal Rule, and THIRTY-SEVENTH GOLDEN VHS overall... THE BASTARDS! The Bastards earned the Golden VHS, as the only team getting the Finale correct, regaining the lead on the last question as they did so! This is also the second consecutive Golden VHS for two of the teams members, a regular and guest participant on last week's Electric Mayhem team. They were in fact joined afterwards, as is tradition for this time of year it seems, by Kevin of the Electric Mayhem and Dylan of the Shaym-Aliens, after TFC won the Eastern Finals and punched their ticket to the MLS Cup! Congrats one more time to The Bastards, and thank you once again to all the fantastic teams who came out to our fourth last Trivia Club at Our Original Home of Cardinal Rule! We'll see you all again NEXT WEDNESDAY for the third last edition of Trivia Club at Cardinal Rule, yes our first of December, with TWO WEEKS to go until our second annual TRIVIAL AWARDS! A wonderful night of Trivia Club was had at The Rec Room, as our eleventh event brought forward a new group of teams, excited to test what they knew, and what their friends knew! Who would walk away with the Golden VHS? It would most almost certainly be First and Gold! It was a celebratory way to close out November in The Hall on the stage! Trivia Classic came to a close with Think Tank, Drink Tank tied with the Country Blumpkins! Runners-up, just a half a point behind them were Work Hard... Trivia Also Hard! All teams got a great mix of branded swag from The Rec Room, as well as sweet sweet candy! The Close Talkers were in third place, two points off the lead, while the Burgundy Lions were half a point behind them, and Jeo-Party on Wayne rounded out the Top Five (top five, top five) half a point behind them! This meant that the Top Five, which was in fact a top six, was only separated by THREE POINTS! The Brew Jays in sixth were only themselves half a point out of the Top Five, with another member of the I Thought This Was Speed Dating club (the fifth different team with that name in eleven events) in seventh! Master Debators and The Specialists (office mates of The Close Talkers, actually!) rounded out the field of ten! Tri-Pardo , our second round at The Rec Room, shifted things around with the first question being rolled for three points by I Thought This Was Speed Dating..., the second question being rolled for nineteen points by Brew Jays, and the third question being rolled for fifteen points by Burgundy Lions! In total, thirty-eight points were up for grabs! 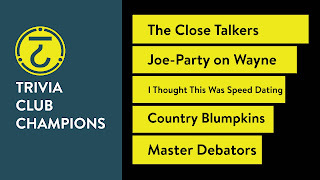 Taking big swings and hitting a triple each, with three correct answers in the Tri-Pardo for thirty-eight points, were the Country Blumpkins, as well as The Close Talkers! This kept C.B. just two points ahead of C.T. Office rivals of The Close Talkers, The Specialists, were the only team to lose points after Pardo! Gaining one point were the Brew Jays! Gaining thirty-one points, and edging from fifth to third after two round, were the wonderfully named Jeo-Party on Wayne! Though their office mates The Specialists finished on the opposite end of the standings, they still joined them in the picture (aaaaw), winning their FIRST GOLDEN VHS on this night and FOUR game bands for The Rec Room each worth TWENTY-FIVE dollars, succeeding in this team building exercise... THE CLOSE TALKERS! In the picture, The Close Talkers are the second, third, fourth, fifth, and seventh person from left to right, as well as the person kneeling in the front row! Wooooo! Congrats once again to The Close Talkers, and thank you again to everyone who came out to compete on this the fourth last Trivia Club at The Rec Room for 2017! See you all NEXT TUESDAY, when we'll be giving away from swag for the upcoming film The Shape of Water, Guillermo del Toro's new film that is both terrifying and surprisingly romantic. Follow our Facebook event page, as Trivia Club at The Rec Room is subject to change in location and date! It was an intimate night to end November at our Home Away, and yours, Hitch! Queen and Leslie saw The Potatoes a new team of five go against our newest regulars at Hitch The Fighting Mongooses, as well as the bar team Wookiee of the Year, with the helping them through the night though surprisingly not lasting until the Finale! After a first round lead for newcomers The Potatoes, and a down the middle first two Game Show Games that saw all teams gain eighteen, it was a Combo win for Wookiee of the Year that gave them the lead heading into the Tri-Pardo! Ultimately after an unpredictable third round, and an equally unpredictable round of wagering that put the win within the grasp of the Fighting Mongooses, it came down to one man remaining for The Potatoes… and that was all that was needed for THE POTATOES to win their FIRST GOLDEN VHS! FIRST AND GOLD! They are the third first-time winners in five weeks at Hitch! Well done, and congrats one more time to The Potatoes. Thank you all for coming out on Monday, we'll see you all again next week! Support Trivia Club on Patreon! Russel Harder hosts Trivia Club at Hitch (1216 Queen St East) every MONDAY, at The Rec Room (255 Bremner Blvd) every TUESDAY, Cardinal Rule (5 Roncesvalles Ave) every WEDNESDAY, and monthly THURSDAY continuing December 14th, 2017 at Farside! Every FRIDAY, a new episode of the Pause & Play podcast (a portable version of our live events) is available on SoundCloud & iTunes! 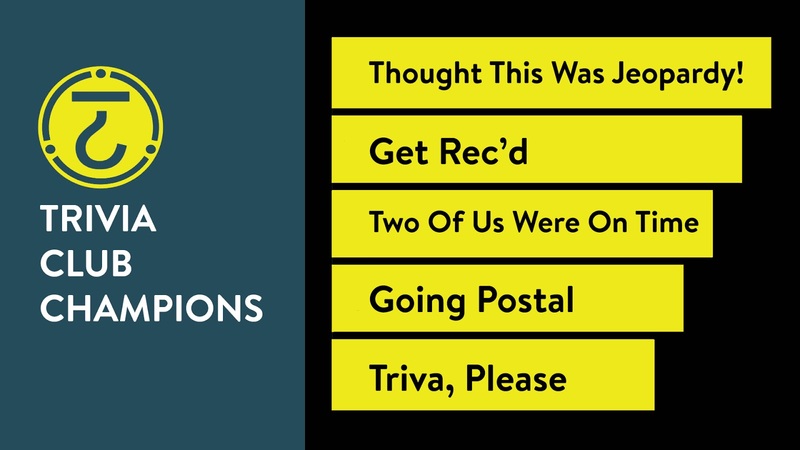 The forty-sixth episode of Trivia Club's Pause + Play, available every Friday! The downloadable PDF can be found on the Pause + Play page. Enjoy the special Pause + Play Golden VHS to win, and let us know all about your experience including your score! Trivia Club's Pause + Play is the portable version of Toronto's Greatest Game Show hosted by Russel Harder (facebook.com/triviaclub), a version of the live event that you are able to play at home with friends or on your own, especially if you aren't in Toronto. 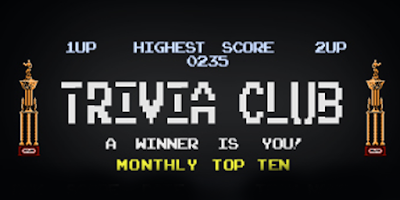 If you are in Toronto, you can find Trivia Club at Hitch (1216 Queen St East) every MONDAY, The Rec Room (255 Bremner Blvd) every TUESDAY, at Cardinal Rule (5 Roncesvalles Ave) each and every WEDNESDAY until the end of 2017, and at Farside (600 Gerrard St East) next month on THURSDAY, December 14th! Pause + Play is easy to find every FRIDAY, with the questions from that week’s trivia event, as part of the TRIVIA CLUB NETWORK of podcasts on SoundCloud & iTunes! Thank you to DJ Schmoli for the mash-up, and Brett Roberts and Travis Greenwood for the Trivia Royale! Closest without going over: Escape Goats with… TWENTY-FIVE! The over/under “average” guess is… EIGHTEEN! I t was the fateful fifth, the fast fifth final Trivia Club at Our Original Home of Cardinal Rule! Yes, with the Best Diner in the West closing at the end of 2017, the 241st edition of Trivia Club in the place where it all started was one of only a handful left. So it was perfect that we would have a new team play along returning teams play along long-time regulars! Trivia Classic saw the Electric Mayhem returning in name for the first time since our 200th at Cardinal Rule, for this last hurrah! The first team to not only score more then 100 points, but also to cross the Sesquicentennial Mark, had a four point lead on their civil rivals the M. Night Shaym-Aliens! In third was Judy from Payroll, these two-time winners who were riiiight ahead of Wasabi Women who were making their third appearance, and who where a half point ahead of Last Place Team, who themselves were making a forty-third consecutive appearance. Rounding out the field just four points back from fifth were newcomers Star-Tec Human Resources! Game Show Games saw Electric Mayhem show their all-time chops with a TOP TEN in both Countdown Takedown AND Survey Says, and an additional THIRTEEN points as the last team standing in Combo Breakdown, a sweep of the Game Show Games! Also gaining points in the Countdown were the M. Night Shaym-Aliens, while Star-Tec Human Resources were the only team left pointless in Survey Says! Wasabi Women gained two points in Combo Breakdown, before falling in the head to head with the Mayhem, before the Mayhem Electric added another two points. Tri-Pardo then saw the first question rolled for twelve points by Last Place Team, the second question rolled for fourteen points by Judy from Payroll, and the third question rolled for sixteen points by the Electric Mayhem! This meant that forty-two points were up for grabs in our third round. 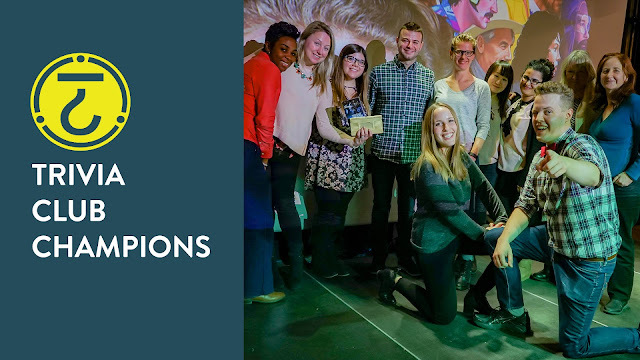 It proved tricky enough that no team hit for the triple, but both the Wasabi Women and Judy from Payroll were able to get the second and third questions correct for thirty points to put the teams into second and third place respectively. Electric Mayhem still held their lead with a combined twenty-eight points in round three. Last Place Team were also able to get the third question correct, while the M. Night Shaym-Aliens were tripped up by the third but got the first and second questions and still took ten points. Finale wagering then settled the possible outcomes, with most teams going almost all-in with one, two, and three points being left behind, save the Wasabi Women who wagered 25 of their points and left thirty in the bank. They were hoping that they would be right where others would be wrong… and other teams were tripped up, but not enough to leave them with the lead. No, instead the team in the past known as the Boston Marriage, and the Drinking Team with a Trivia Problem, finished as runners-up by one point ahead of the M. Night Shaym-Aliens! Winning on the night, with 171 points, crossing the Sesquicentennial Mark for the seventeenth-time was the team that set that mark for the first time in 2013 at Cardinal Rule! With their 36th Golden VHS at the Original Home of Trivia Club… THE ELECTRIC MAYHEM! Don't call it a comeback, they've been here for years! Amazingly though, this is their first win as the Electric Mayhem at Cardinal Rule and not as a part of the Electric Bastards, since August 31st, 2016! Congrats to the Electric Mayhem once again, and thank you once again to everyone who came out to make it such a fun night for your host and hopefully for yourselves! We'll see you all again NEXT WEDNESDAY for the fantastic fourth last Trivia Club at Cardinal Rule! Remember, it's not what you know... it's what you learn along the way! O n our tenth edition of Trivia Club at The Rec Room, it felt like an all-new night! With our big stage format making only it’s second appearance in The Hall, it certainly has proven to be an untraditional November! Bucking tradition is never a bad thing (down with the patriarchy, after all), suffice to say it was wonderful fun for the teams in attendance and a first time winners was crowned with the Golden VHS! Trivia Classic saw Two of Us Were on Time in the lead after the first round, and they were a team that actually featured a one-time Golden VHS winning alumni of SPARTACUS, though Trivia Club hadn't seen the participant since 2013! Dilly Dilly were five points behind them in second, returning for a second time after participating in our North Bar show two weeks ago! Two points behind them in third were Get Rec'd! In fourth place were Trivia, Please! 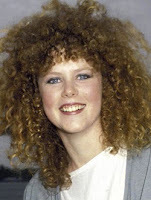 Rounding out the Classic Top Five (top five, top five) were Thought This Was Jeopardy! Rounding out the field were Going Postal and Our Friendship Means Nothing! Tri-Pardo , our second round at The Rec Room, saw fewer questions but for more points! The first question was rolled for nineteen points by Get Rec'd, while the second question was rolled for fourteen points by Two of Us Were on Time, and the third question was rolled for eleven points by Thought This Was Jeopardy! Yes, all together the three questions were worth forty-four points! Trivia, Please and Dilly Dilly lost eight and fourteen points on the round respectively, while Get Rec'd and Two of Us Were on Time gained eleven! The big swing were for Thought This Was Jeopardy! who gained twenty-two points, which brought them within two and a half points of the leaders... Two of Us Were on Time! Winning their FIRST GOLDEN VHS on the night, with seventy-three points on their name after a slam dunk Finale answer, THOUGHT THIS WAS JEOPARDY! And hey, even if they did... we're glad that we confused you for long enough to get you to the end! Congrats to Thought This Was Jeopardy! and thank you again to all those who came out to compete at our tenth Trivia Club at The Rec Room! We'll see you again NEXT TUESDAY, November 28th! We are in The Hall, but as always the card is subject to change so sign up to our Facebook event for all the latest news in 2017! I t was a return to our Home Away after a week away, with all kinds of fun to be had and knowledge to be dropped! Would one of the long time teams strengthen there trivia legacy at Hitch, or would new faces fight for their first Golden VHS? Trivia Classic saw the Fighting Mongooses return after two weeks away, and return to the first round lead! Escape Goats were in second, a wonderful pairing of Shaym-Alien alumni and their parents and in-laws, while the Good Folks from Laramie Cigarettes were making their forty-first appearance and were one point behind in third! Newcomers the Multiple Scorgasms were in fourth, with Wookiee of the Year a half a point behind them in fifth. Collage Strike, the newest name for Lt. Dance’s Anthony, and Falconhead rounded out the field. Game Show Games , beginning with Countdown Takedown saw Escape Goats grab the TOP TEN while Collage Strike picked up eight points and remainder of the field found it tough for the number to pin down! Survey Says saw the Good Folks from Laramie Cigarettes AND Collage Strike both got a TOP TEN answer out of our second game, when the field figures out our first question, save for the first guess from Falconhead. Finally, it all came down to a Combo Breakdown that left Wookiee of the Year and the Fighting Mongooses going head to head, with the last team standing winning SEVENTEEN POINTS being the Fighting Mongooses! With their lead strengthened this meant that the Fighting Mongooses had the lead on the field, but a tough Tri-Pardo could change everything! With all questions totally forty-six points, this led to an all out twist in the standings in a familiar way, with the first question being rolled for twelve points by Falconhead, the second question being rolled for fourteen points by Multiple Scorgasms, and the third question being rolled for twenty points by the Fighting Mongooses! It is the second time that the Mongooses have rolled a crit hit! Unfortunately they were not able to hit on the twenty point question and the Mongooses who Fight were instead hit for twelve points! This isn't as bad as the thirty-four points lost by Falconhead, while Collage Strike also lost twleve points! Gaining ground were the Escape Goats with two points, and with a full twenty-six point swing Multiple Scorgasms were able to notch enough to gain the lead on the night before the Finale question! Heading into the Finale , many a team did some cagey wagering with a lot of points being put on the line but ultimately the Good Folks holding five points back, while the Fighting Mongooses kept two and a half, the Escape Goats keeping two points, and Multiple Scorgasms wagering everything but one and a half! Also this was ultimately just a safety measure as all teams came out swinging on the last question, with only one team missing... and it was not the team in the lead! Winning their FIRST GOLDEN VHS on their first night out at Trivia Club at Hitch... MULTIPLE SCORGASMS! They took home the gold with a tough Tri-Pardo twist, just a half point off of 100 points, as the Escape Goats finish as runners-up on the night with eighty-two points. Congrats once again to Multiple Scorgasms, and thank you to everyone who came out to Hitch and made it such a fun night of game show goodness at our Home Away! We'll see you all again NEXT MONDAY as we head toward the end of 2017, now just weeks away! MUSICAL GUEST – Eminem – SONGS: 1) Walk On Water & 2) freestyle??? Chance the Rapper is as good a host as one would expect, which is to say really quite good. Both game to add all that he can to a sketch with his set of affable, musical, aw shucks set of skills, while also surprising with a Family Feud segment that was surprisingly wonderful (as it turns out, it’s not just an imitation showcase, or a way to get Kenan on the show! ), and also giving Chris Redd further chance to break out this season! Also, I would like to canonize the Weekend Update appearance from Pete Davidson about Staten Island. December 2nd, in TWO WEEKS from this episode, it’s a very pleasant surprise to see Saoirse Ronan hosting! Not only that, but it’s a very Irish episode of Saturday Night Live, with sudden but always enjoyable (in this format, because I’ll never forget when Amy Poehler cried from happiness and exhaustion) U2! Adam Scott just couldn’t get the timing right to host, I suppose. Ronan looks fantastic in Lady Bird, which I still have to see but I’m sure you have. It’s really good isn’t it?